Team Challenge Company had the great pleasure of working with a hugely enthusiastic team from England Netball, comprising of coaches from all over the country, who came together to experience a day full of team building activities in the shape of our ever popular of a Crystal Challenge. The wonderful Links Hotel in Loughborough played host to this fantastic day, where the teams would do battle across a range of different team building tasks and exercises in order to gain as many crystals as possible before heading to the Crystal Dome finale! We kicked off the morning with our NASA Exercise which saw our teams disregard all earth bound logic as they tried to ensure their survival after 'crash landing on the moon'! Our top team, The Dome-inators, managed to win with an excellent haul of 3 crystals whilst Swarovski fell behind slightly not managing to pick up a crystal at all in the first round...ouch! We quickly moved on to our next activities, Crane Construction and Clock Tower. Team Swarovski didn't hold back this time as they beat Team 5 Birds and a Bump to take away 2 crystals, with the sensational Lucy sinking the ball at the Hole-in-One challenge - what a legend! Over at Crane Construction the Dome-inators managed to extend their lead as they towered over BANGG by 6.5inches! Gemma nearly brought it back for her team as she went one up against Nathan on the riddles challenge, but sadly fell at the final hurdle - unlucky Gemma! Further highlights followed throughout the team building day, as our teams undertook in the balloon tower in a bid to build the largest, free standing structure possible out of nothing but balloons. The lovely lady's of team BANGG took the crystals with a whopping height of 160cm. Following lunch our teams were ready for action and raring to go once again as we got underway with a game of Bat The Rat. Dome-inators and BANGG managed to bag themselves yet more crystals whilst 5 Birds and a Bump and Swarovski's were left trailing behind with 0 crystals. As we moved forwards to the last few activities the excitement heightened amongst the teams as the fight for crystals really heated up. The challenges continued for our teams with Scrambled Egg up next. The objective was to build a contraption that would allow for our teams eggs to be thrown towards a target and land safely without smashing. Miraculously, all 4 teams eggs landed intact however it was the 3 Birds (two Birds and the Bump left their team at half time) who won the crystals as their egg landed just one ring out from our bull's-eye target! Last up was our final game of the day, the make or break round before our dash for cash! Bridge Build saw our teams using all their engineering knowledge to construct a platform on which they had to drive the remote control car across in a bid to win their team one final crystal! With a few complaints about the cars steering ability (more like bad driving skills *cough cough*) only the Swarovski's bridge remained standing which seen them take the one and only crystal handed out on this last round. In our Crystal Dome finale there was a time difference of 30 seconds between top dogs (Dome-inators) and bottom of the pile (Swarovskis). The aim of the game was to grab as much cash as possible in the time allocated to your team. It was a mad frenzy of flying limbs and money as the designated member of each team tried to pocket as much of the cash as the could! In the end the scores were finalised and the money was counted. In last place and taking home the notorious wooden spoon was the 3 Birds with £260, whilst 3rd place went the Swarovski's with £270. In 2nd place, grabbing a respectable £320, was BANGG! Which meant In 1st place with a grand total of £350 taking home the much sought after Team Challenge Company Trophy was the incredible Dome-inators! 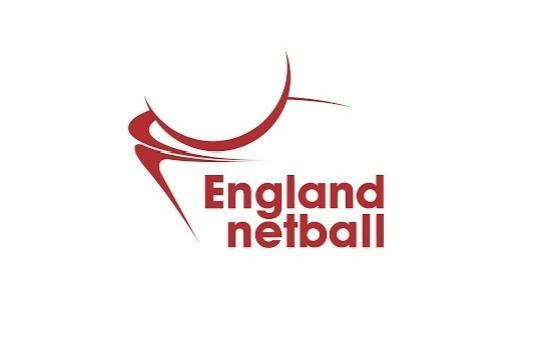 We had a fantastic day with the wonderful team at England Netball, and would again like to thank Sue for organising such a successful day of team building. We hope to see you all again soon for the rematch. I hope the athletes you work with are just as competitive as you. A very fun day indeed. Thank you.